Everybody has their story what motivated them to start learning Japanese. Mine begins with watching Japanese films. When I was around 14/15 my parents used to go out from time to time. I mostly spent these nights watching movies which I borrowed from my aunt who was living in the apartment underneath us. Most titles didn’t mean anything to me and considering that it was still an era where searching the internet meant booting up your computer and dialing in with a 56k modem, a quick film search wasn’t really an option. I had to trust my first impression of the cover and the short description on the back of the VHS box. One night I picked up Pulp Fiction. Same thing here: Never heard of the film before but the cover artwork looked kinda intriguing. And how I loved that film. I was completely fascinated by it. So much that I watched it again the next day and even went to a friend of mine in the evening to watch it for the third time. I loved Pulp Fiction. Everything about it. The dialogues, the setting, the music. It was pure magic. Cinematic magic. I grew up at my grandparents and watched a lot of Buster Keaton, Chaplin and Laurel & Hardy when I was a kid. Not to forget the films by Jacques Tati and the sketches by Rowan Atkinson. And we all know how kids are. They can watch the same thing tons of times and don’t get tired of it. So I definitely watched my fair share of the classics which probably influenced my interest in film later on. Pulp Fiction was a turning point for me and spiked a new passion. Film. I tend to become a little extreme about my hobbies which means that I love to fully indulge myself in something. 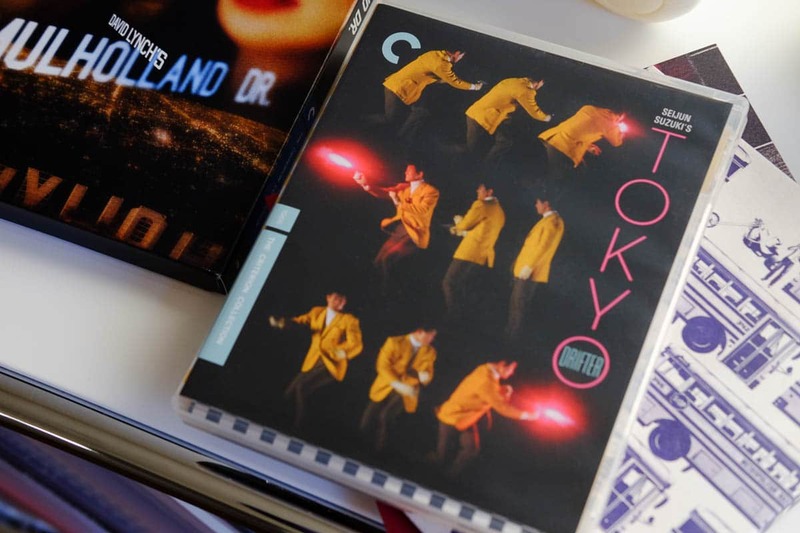 Be it watching and discovering films, collecting records or studying Japanese. Needless to say that after watching Pulp Fiction I just had to watch everything its director Quentin Tarantino was involved in. Bought a book about him and started to watch the movies he talked about in interviews. Tarantino is a huge movie buff himself. His films practically consist of bits and pieces from the films he likes coupled with his very own sense for setting and dialogues. I wanted to know more about these inspirations and watch as much of the classics as possible. Every film fan comes to the inevitable point where he discovers the Criterion Collection. A US film label which started in the Laserdisc days by releasing interesting films in the best way possible. What really set them apart though was the implementation of an audio commentary. Offering a second audio track where film critics, the director himself or cast members discuss the film while you’re watching. Most of you are probably familiar with the concept. 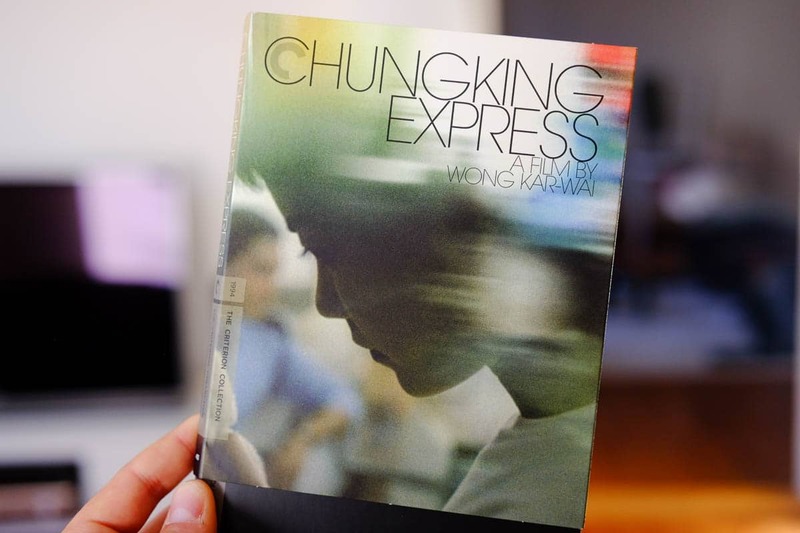 I rarely watch films that way (mostly never) but the whole idea derived from the guys running the Criterion Collection. Later on, with the upcoming of DVD as a mass medium, the collection grew with around four releases each month. Numbered, so that collecting all of them is practically a must. I tried to watch as much as possible from the collection, got introduced to the directors of the nouvelle vague and classic neorealism from Italy and France alike. And that has been the best part about following and collecting films from the Criterion Collection, getting hand-picked film recommendations from all around the globe and every era of film. Thanks to their concept I eventually discovered the films by Akira Kurosawa and Yasujiro Ozu. And I liked them. Not so much at first (forgive me, I was still pretty young) but the whole bonus material (which I was still watching back then) gave me the context I needed to really appreciate what Ozu was doing in that early stage of cinema. Japanese films always had something fascinating about them, something mystic which just sucked me in. Most weren’t something I liked right away. It was mostly more strange fascination than pure entertainment. Until a couple of weeks ago I wasn’t even the biggest fan of Kurosawa who probably made the most accessible and clearly Western influenced films. I just didn’t get his charm right away. Something I especially found in Italian cinema. But still, I kept on watching Japanese films. From the abstract works of Seijun Suzuki to Mizoguchi and random Samurai classics. I still own a French DVD boxset of Mizuguchi films which I bought nearly 13 years ago in southern France with my grandparents. That was back in a day where Japanese films on disc were more or less a rarity. When it comes to Japan, France is probably the country where you can get most of the films and manga of course. Rashomon by Kurosawa was, even more, a success there than in its origin country and helped pave the way for Kurosawa in Europe (Btw. you should watch that film). Mind that I sold nearly all my DVDs when I bought a PS3 in 2008 when Criterion finally started to release their first Blu-Rays. That was the sign for me that a new medium was finally relevant. And another sign that I really liked the Collection. The Criterion Collection has been a steady part in my life for almost 15 years. Even if I didn’t watch any films for months and didn’t buy any of their new releases I still check their upcoming titles which are announced on the middle of each month. I discovered many fantastic films through them which deeply moved and impressed me. Some weren’t my cup of tea, some were too abstract and confusing for my taste. But when I discovered a personal hit it was always a film that gave me something in a certain way. A new perspective on life, on relationships, on living. A good film can give you something in a very direct way no other medium can deliver. And that far outweighs all the disappointing ones I bought over the years. Not that these were bad films (except for Don’t Look Now which I really really didn’t like) they just weren’t for me at the time I was watching them. Nothing good comes without pain and that’s true for learning Japanese and watching films. That was my little love letter to the Criterion Collection which introduced me to a lot of wonderful films and directors. I was part of the beta for filmstruck a new upcoming streaming service by TCM and Criterion. It will launch at the end of October and because I really enjoyed their themed lists. Like the ones people like to make at letterboxd a social network for film fans which you should replay check out (and befriend me). 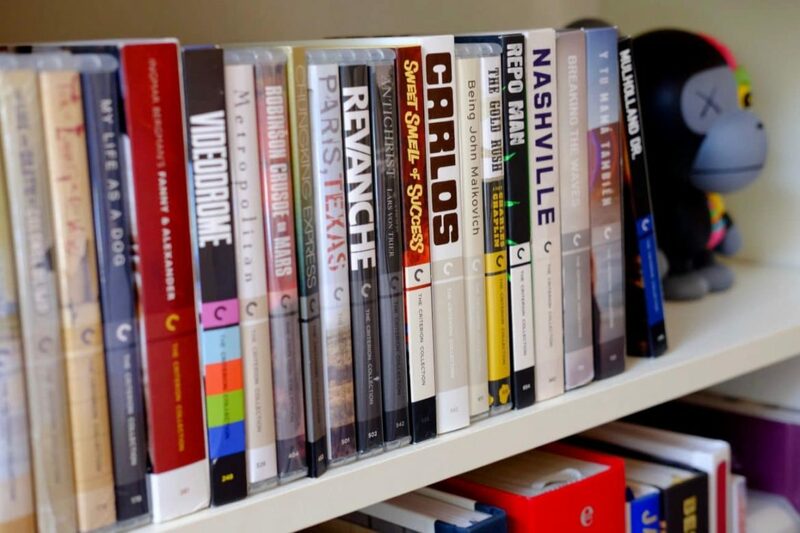 The whole Criterion Collection including most of their supplements will be featured there. A dream come true for every film lover. I’m currently getting rid of most of my BRs and DVDs but am still hesitant to part with the collection as well. With streaming on the rise I sometimes think about going entirely disc-less but I already know how it is with digital Vita games. You bought them full price and because memory space is rare on that thing (and expensive) you only download a fraction of the titles you bought. The rest is buried in a download list and because you never look at that you completely forget about most of your downloaded games. That shouldn’t happen to films that good. Watching Mulholland Drive the other night I inserted a Blu Ray again. Been some time since I last did that. And watching a film totally disconnected from the internet has a charm in itself. This may sound nuts but for me it got something calming now and then. Just to turn off the phone, shut down the PC and a watch a film. From disc.